Enjoy Mediterranean cuisine at OldWell Restaurant, a beachfront restaurant where you can enjoy drinks at the bar, take in the ocean view, and even dine alfresco. You can also stay in and take advantage of the room service (during limited hours). Quench your thirst with your favorite drink at the beach bar. For your convenience, a complimentary breakfast is served daily from 8 AM to 10 AM. This comfortable hotel is set in Tropea. Travellers will enjoy a peaceful and calm stay on the premises, as it counts with a total of 15bedrooms. This hotel was built in 2010. Both wired and wireless connections are available at Hotel Rocca della Sena. Customers are welcomed in a lobby with 24-hour reception. Cots are not available at this property. This accommodation is wheelchair-accessible. There are -1 disability-friendly accommodation units available on the premises. It is possible for guests to bring their pets to the premises. Hotel Rocca della Sena provides parking and garage facilities. Moreover, this establishment has made important environmental improvements in order to minimize its impact on the environment and features the certification. Those seeking peace and tranquillity will find their best accommodation option at Hotel Rocca della Sena with plenty of health and wellness options. The hotel may charge a fee for some services. When you stay at La Perla in Tropea, you'll be near the beach, within a 15-minute walk of Tropea Beach and Norman Cathedral. This hotel is 0.8 mi (1.3 km) from Diocesan Museum and 1 mi (1.7 km) from Port of Tropea. Take in the views from a rooftop terrace and a garden and make use of amenities such as complimentary wireless Internet access. Additional features at this property include a television in a common area and tour/ticket assistance. Getting to nearby attractions is a breeze with the complimentary area shuttle that operates within 1 km. A stay at Hotel Valemare places you in the heart of Tropea, within a 15-minute walk of Tropea Beach and Norman Cathedral. This residence is 0.6 mi (1 km) from Diocesan Museum and 1.3 mi (2.1 km) from Port of Tropea. Make yourself at home in one of the 14 air-conditioned rooms featuring minibars. Complimentary wireless Internet access keeps you connected, and satellite programming is available for your entertainment. Private bathrooms with showers feature rainfall showerheads and complimentary toiletries. Conveniences include phones, as well as laptop-compatible safes and desks. lastminute.com has a fantastic range of hotels in Tropea, with everything from cheap hotels to luxurious five star accommodation available. 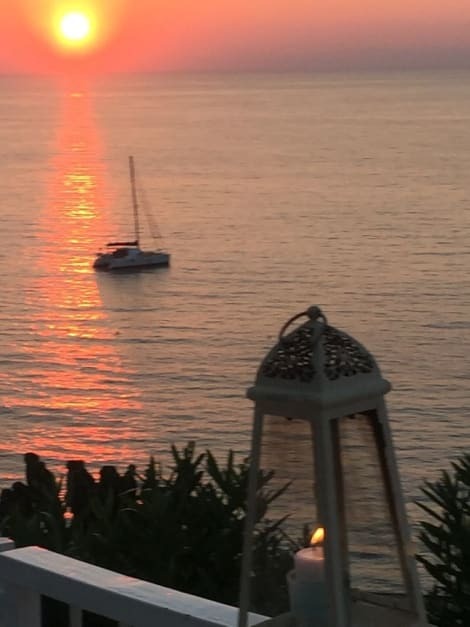 We like to live up to our last minute name so remember you can book any one of our excellent Tropea hotels up until midnight and stay the same night.